The Cap'n here was billed as the 'Exclusive Premiere Edition' and was released as a boxed convention/ Art Asylum fan club exclusive. Art Asylum produced quite the gem here. 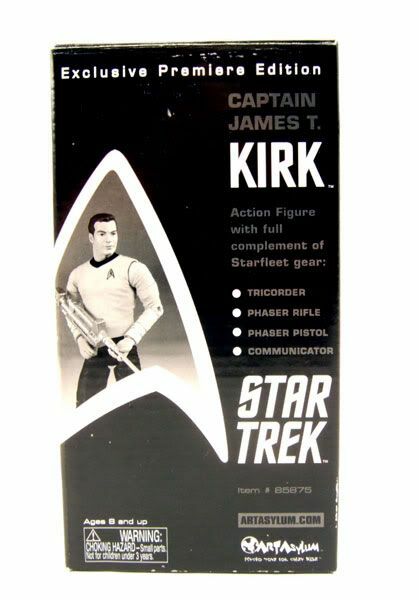 Kirk stands 7" tall and is loaded with articulation. The body sculpt is top notch with articulation that doesn't 'break up' the look of the figure. 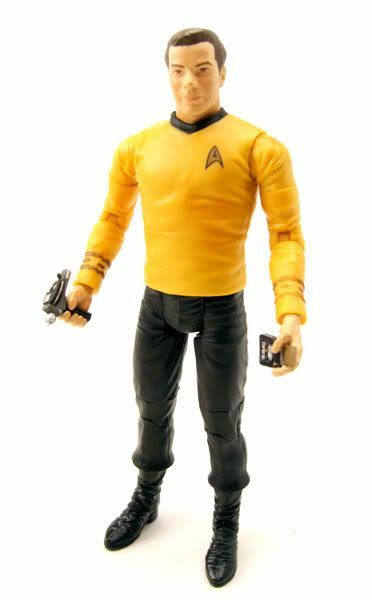 AA tried something different with alot of their Trek stuff by implementing a rubbery shirt to hide the torso articulation. 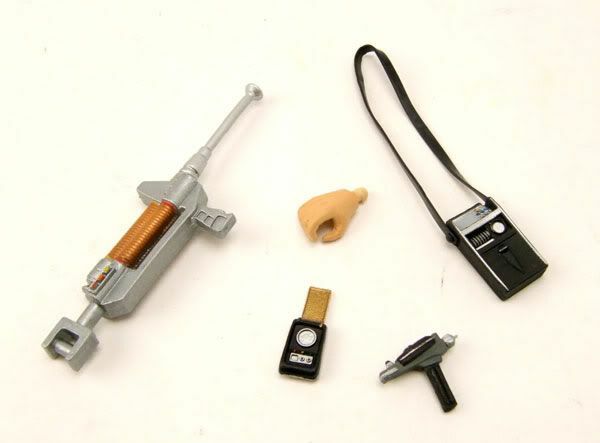 While alot of fans (myself included) are now worried about the longevity of this material, either from it becoming cracked and brittle or how the painted elements will react with it over time, it was extremely innovative. The head sculpt? Yeah, that leaves a bit to be desired. 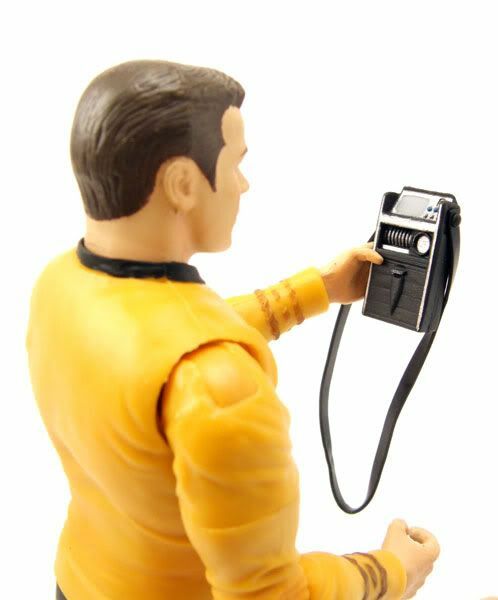 I personally feel it's the weakest of all of the AA TOS heads. 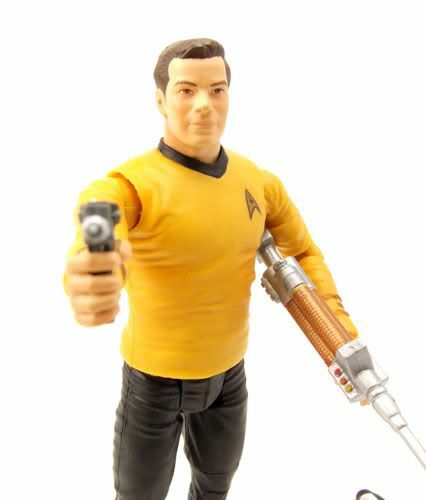 Shatner is a tough likeness to nail. I thought Playmates handled it pretty darn well back in the day. 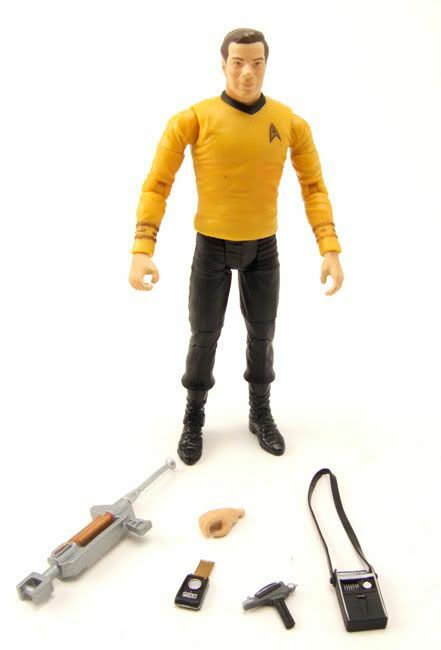 This AA head sculpt may be a bit of a step back from what they did, but the body is light years beyond.